About this time last year I posted a short series of articles summarizing the Lovecraftian tabletop RPG products that had been released in the preceding year. That summary proved quite popular and was ultimately reprinted in the first issue of Bayt al Azif (a new RPG magazine, launched in 2018). Given that response, I thought it might be fitting to try to pull together a similar retrospective covering the diverse range of gaming releases that came out in 2018. The task of trying to track down everything released in the past year with a “Lovecraftian” type of influence or flavour is a huge undertaking, so I will caveat this series of articles up front as being an attempt to summarize things that outright claim a connection to HPL’s writings (in some form or other). Even with that restriction in place, there are still a LOT of different and diverse things that came out in 2018, some of which I’ve personally read (or written!) and others which I only know by reputation. I’ll do the best I can to give some hint of what each product is about, and hyperlinks to reviews or product pages wherever I can. As with last year’s review, this summary will – by necessity (and sanity) – be split over multiple blog postings. 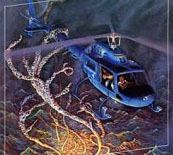 In this first post I’ll tackle a quick helicopter-level “capsule summary” of the whole year. If you’re daunted by the full review, just reading the quick summary will give you the big-picture. Most of what follows will just be additional detail. In other words, the capsule summary is your “TL;DR” version. Chaosium’s output – in terms of number of titles at least – was way down, largely due to the amount of effort consumed with creating the mega-brick new Masks of Nyarlathotep. The list of larger established companies which are publishing licensed Call of Cthulhu has declined a little over recent years, hence while those publishers were quite active they were creating content that was a bit further removed from the traditional “heart” of Lovecraftian gaming. In numbers, there were only 10 new titles for Call of Cthulhu released in 2018 compared with 16 new titles in 2017. This included four titles by Chaosium (including aforementioned brick), one release each by Stygian and Golden Goblin, a release by New Comet Games, two new Cthulhu Live scripts from Skirmisher and the long-long-delayed Punktown (from the long-long-dead Miskatonic River Press). Interestingly there were zero releases from Modiphius and Goodman Games (the last two established publishers who are current CoC licensees after the departure of Cubicle7 in late 2017). The year 2018 was an absolute bumper year for Delta Green, not only for releases using Arc Dream’s own system but also the unexpected 1960’s era DG book The Fall of Delta Green (Pelgrane; Trail of Cthulhu rules). It was also the year when Pelgrane made good on their promise to release Robin D. Laws’ Yellow King RPG in all its four-book glory (plus extras). Pelgrane also published a couple of new Trail of Cthulhu titles (Cthulhu City and Hideous Creatures) as well as new supporting material for Cthulhu Confidential. As well as all those slightly left-of-centre releases, 2018 also continued a growing trend towards fantasy games (Pathfinder, D&D5e, and even W.O.I.N.) dipping their toe into Lovecraftian ichor – as well as some of the OSR community deciding to play a little in the eldritch space as well. There was even a somewhat Lovecraft-inspired game released for the Savage Worlds ruleset and a very Lovecraftian title released for the Conan 2d20 game. This gives some indication of how diverse the spread of the HPL influence has become in gaming more generally. 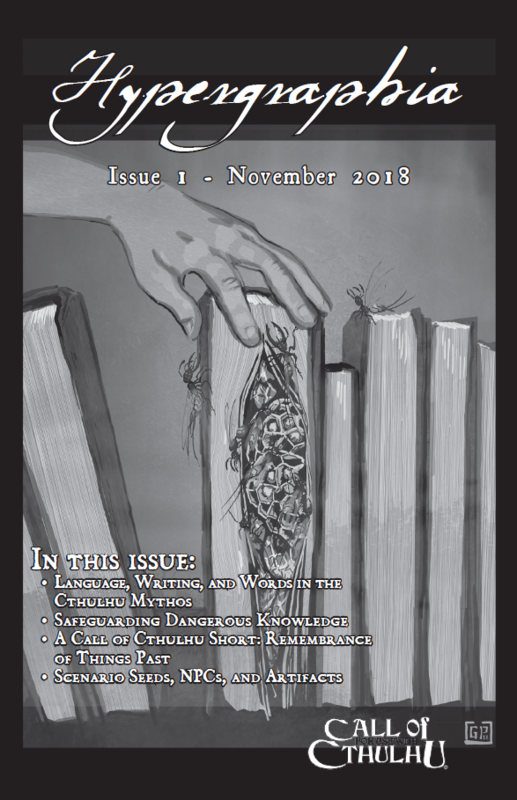 On top of all that there were numerous titles released in 2018 under Chaosium’s community programme, the Miskatonic Repository. Overall the frequency of releases and their quality has been very uneven, but doubtless the MiskRepo has served its purpose in giving new creators a venue for getting scenarios and other content (but mostly scenarios) out to the buying public. In 2018 there were some 44 English-language titles added to the repository, some 19 of which were either free or Pay-What-You-Want. Chaosium have not released any statistics about earnings for creators, though there were some suggestions that the best-selling of the MiskRepo titles had earned its creator hundreds of dollars in sales. This entry was posted on Sunday, January 27th, 2019 at 1:54 pm	and posted in News & Updates. You can follow any responses to this entry through the RSS 2.0 feed. Personally I would rather have fewer but high quality titles through the year than a heap of mundane and weak material churned out on a regular basis. I would agree with that … I guess the two aren’t mutually exclusive, though. It’d be even better to have a large number of high-quality releases, particularly if they cover a diversity of different sub-product-lines or themes.